So read the headline in the UK’s newspaper The Sunday Times on April 29th, 2018. It was a reaction to the TSB fiasco we mentioned in our last post How We’ve Taken the Pain and Risk Out of Legacy Modernization. Some context on TSB first. 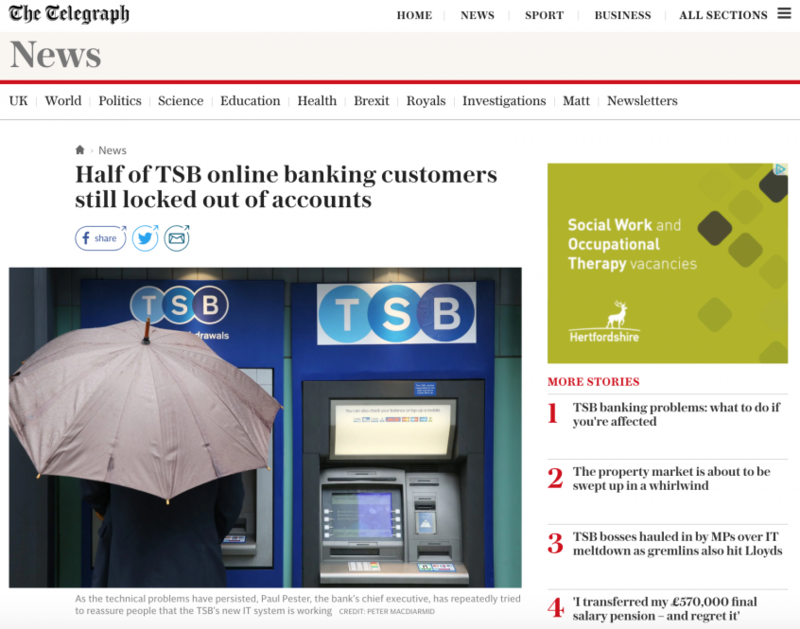 A planned system upgrade on April 20th went wrong and led to millions of customers losing access to their accounts, some customers seeing other customer’s accounts, and a week later 10% of customers (around half a million) still unable to access their accounts to pay bills, staff and otherwise manage their affairs. Post-financial crisis, High Street banks are having to wrestle with their legacy systems as they need to untangle themselves from other divisions such as investment banking. The net of all of this? If the title of this post is to be believed then the natural outcome is that we’re about to lose all of our brand name banks. Not this year maybe but over the coming decades for sure. This migration project consisted of replacing the Unisys ClearPath / OS2200 system in COBOL74 with persistence in hierarchical DMS2 models for an IBM MVS, EnterpriseCOBOL, with persistence in DB2 relational models, managed by OLTP CICS. We participated in the migration of the teleprocessing transactions and the approach was to identify and mark the Basic functional services and to redefine the transactions as a composition of these basic services. The project forced the migration of an entire banking system, the adoption of a new banking framework, and the conversion of a relational data system into a relational system. The approach was based on a first phase of marking and understanding, followed by a preparation phase and culminating in the migration and generation of code for the target system. The project took about two and a half years and was an absolute success. The migrated system continues to run today and supports the daily execution of millions of banking transactions. This is Portugal’s largest social assistance agency. The project involved the migration and integration of several heterogeneous Social Welfare VMS COBOL applications to a Microsoft .NET web application. The presentation and business logic were intertwined (over 90 FMS screens and 85 online Cobol programs). 130 batch programs produced over 90 reports, including check prints, receipts and reports to other systems (SAP). 185 VMS scripts were used both to define the batch processes’ sequence and the routing of the screens. All data models were based on sequential and indexed files. The major challenge was that the screens were obsolete meaning we had to generate new screenshots derived from the fields of the corresponding SQLServer tables. 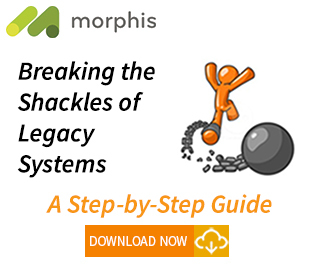 All applications were migrated on time (<4 months), on budget, and seamlessly integrated with the other applications migrated from Oracle Forms by Morphis. 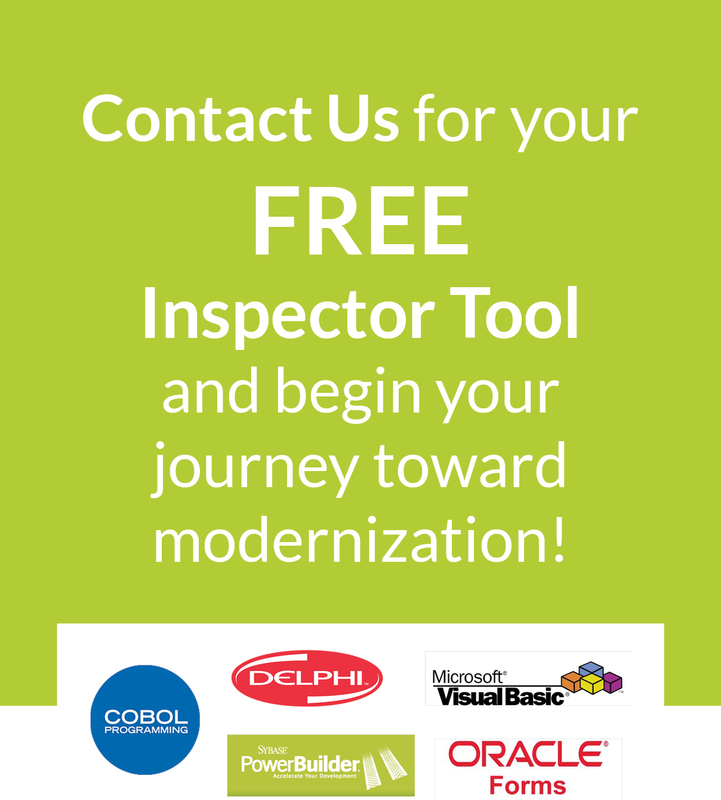 This was a documentation project as part of the modernization of their operations platform and included fully automated analysis and extraction of all technical documentation for a huge set of teleprocessing operations and processes built-in TP-16 technology (MDCS-TPnet Fujitsu). The resultant documentation included all execution flow diagrams and data binding maps from the front-end to back-end COBOL transactions. 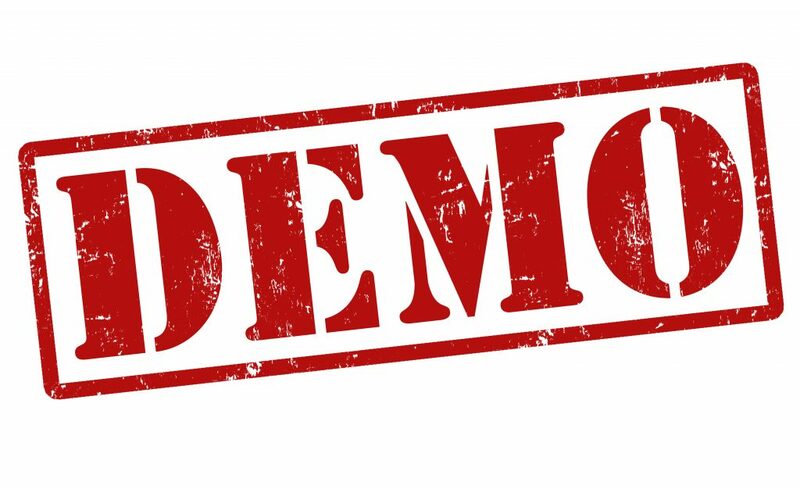 Some of the requested information to extract could only be determined at run-time and different document formats needed to be produced: Visio diagrams, Excel sheets, Word etc. The project was delivered on schedule with a total of 1,200 operations processed and documented from 15,000 sources. Dealing with very permissive languages which led to many inconsistent and badly formed sources. As a result, more than 360 internet channel functionalities and 740 Back-End transactions were processed and documented. The migrated functionality based on the acquired information was in production before completion of the rest of the project. Hopefully, these few examples illustrate that a) modernization is not as daunting as it seems, b) non-IT savvy CEOs have an alternative viewpoint to their ‘trusted advisors’, and c) CIOs can freely move without worrying about migration projects. If any of those apply to you then please contact us using the link in the header of this page. Or, visit our Getting Started page also in the header.